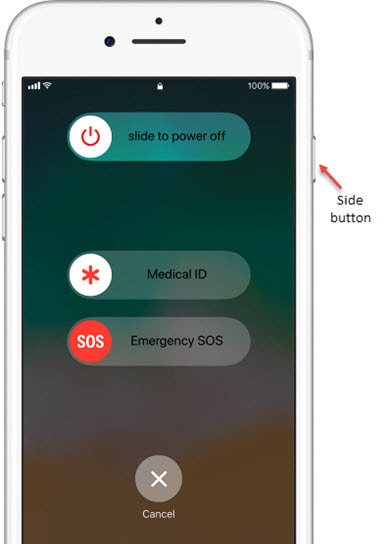 Emergency SOS in iOS 11 allows you to contact emergency services (e.g., 911) using a button combination. Emergency SOS also allows you to add emergency contacts that are alerted with a text message after the emergency call ends. Visit the Emergency SOS support page para más información. 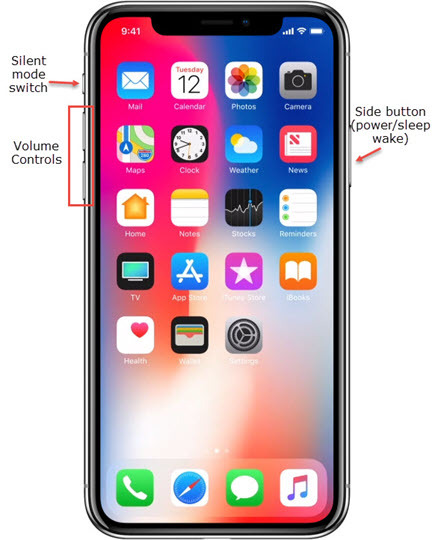 Simultaneously press and hold the Power button and Volume button. 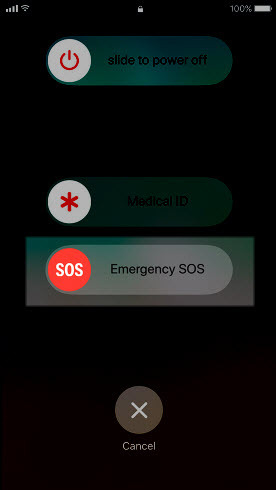 Once the Power off / Emergency SOS screen appears, move the Emergency SOS slider to the right. If you continue to press the Power and Volume buttons even after the slider appears, a countdown begins and emergency service is called automatically once the countdown ends. Quickly press and release the Side button 5 times. Once the Power off / Emergency SOS screen appears, move the Emergency SOS slider to the right contact emergency services.